Companies and businesses are discovering the huge benefits of Email Marketing Singapore but there are so much more advantages to uncover when incorporating it with business CRM. Many companies and businesses have come to integrating email marketing in Singapore and Customer Relationship Management or CRM software and there are a number of reasons why they do. There are many aspects one may need to get a hold of when running a business. Organization is invariably important. Businesses are typically divided into departments like sales and marketing to perform specific tasks and roles to keep the business running. Though different, these departments still need an strategic solution in order to communicate information and data. This is why integrating your email marketing to your CRM platform makes total sense. One way or another, you are going to need customer relationship information to tailor your email and make them work the way you want them to. How does CRM differ from email marketing? CRM are the utilization of strategies, tools, techniques designed and used by businesses to improve customer relationships. While email marketing is a form of marketing, and can be a part of your CRM, that uses electronic mail to reach out to potential and already existing customers. This functions like a normal mail and is used to reach out to potential and existing customers. Having a CRM platform doesn’t mean you have an email marketing one, and vice versa. Though dissimilar, they share the same objective and play the same important role for the success of businesses, both big and small. With the data you have in your CRM you are able to determine the characteristics that define your customers: their demographics, their shopping habits, their interests and other features. Your CRM tool will tell you what your leads are interested in, enabling you to target your emails based on these intelligence. Targeting leads will mean sending relevant content to possible prospects with emails using email marketing services, that are perfectly suited to their level of relationship to your business and where they are in their buyer’s journey. This will allow you to easily move your prospects down the sales funnel without getting spammy or annoying simply because they are getting the email they want/need at the exact time. Nurturing leads is a very vital part in defining and making strategies for your marketing work. One way of effectively nurturing leads is by sending personalised emails. How can you do this? You can use information and data from your CRM, incorporate these to emails using marketing automation and voila, easy peasy personalised emails. Aside from nurturing your leads effectively, you must also consider the amount of time this might take. With the right emails sent at the correct timing through marketing automation, you are able to save valuable time having to wait for your conversions to happen. When your marketing strategies are already planned out, all you have to do is write quality emails for each lead segment, increasing probabilities of conversion and sales and avoiding leaks on your sales funnel. Because your emails are sent to the right leads and customers, this can drive increased click-through rate. Personalized emails automated through an email marketing software may result to higher probabilities of email engagements. Besides increasing CTRs, valuable intelligence provided by your CRM will help your sales team have useful insights to strengthen the sales efforts. With the integration of email marketing to your CRM, you are able to track results from start to finish. Syncing a Infusionsoft CRM software and email blasting service can help you supervise and keep an eye on opened emails. 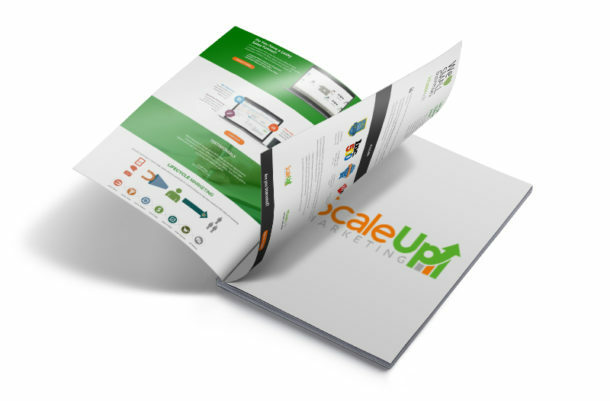 This way you can, not only track your conversion but as well as your return of investments. When your departments operate from the same pool of data, your processes are streamlined. With CRM Singapore, you can segment your leads according to their level of engagements to your products or services. Ranking will follow after segmentation. These rankings can be discussed and shared between sales and marketing to be able to know which marketing and sales efforts will be applied to who. These benefits are only few of the many great outcomes of taking advantage of your CRM for your email marketing endeavors. But how do you get started with your pile of data from your CRM? Here are some ways to give you a kickstart. 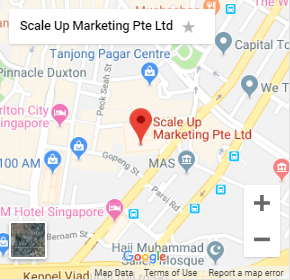 Using a CRM Singapore software, you need to collect valuable information such as name, email, company size, age, etc., by putting an opt-in form on your website and email your subscribers. Asking an Infusionsoft consultant which information will be valuable for your business may be of great help. While you might already have a pile of data from your CRM, you still need to perform routine checks and updates as some of these data might be obsolete. Poor quality of data can bear poor quality results. After collecting and cleansing your data, segmenting it is also necessary. Depending on the nature of your business, segmenting your data can vary from demographic-based, behaviour-based and many others. You can also choose to segment by company, location, title and others. Segmentation allows your business to target specific segments or groups of leads or prospects, putting in the exact marketing efforts to make conversions. For an integrated system to work, you need to incorporate triggers such as subscriptions, renewals and others. Cueing in triggers will also help you save time so you can focus your efforts on the other aspects of your business. An effective platform should allow you to store and further segment your data efficiently. Furthermore, it should also integrations of other marketing techniques such as email automation. Email marketing remains an effective way to convert prospects into customers and retaining existing ones. It is 40x more effective than Facebook or Twitter posts. Combining these benefits and with the help of automation, you can keep your lead onboarding and marketing be smooth, continuous and of course, never falling short of being powerful and practical.